S.Sgt. Harold R. Goodwin, son of Mr. and Mrs. J. L. oodwin, attended school in Davidson; husband of the former Lucille Sell. 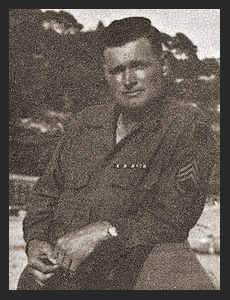 Entered Army in Jan., 1942, trained in Indio, Camp Roberts, Cal., Brownwood, Camp Barkeley, Texas, Louisana; went overseas in March, 1944, served in England, France, Luxembourg, Belgium, Germany and Chechoslovakia. Awarded Good Conduct Medal, Bronze Star, ETO Ribbon, Silver Service Star, one Bronze Arrowhead, Am. Theatre Ribbon.